A healthy diet is important, but it isn’t enough, there are 3 Vitamins To Reduce Inflammation and Chronic Pain effectively. 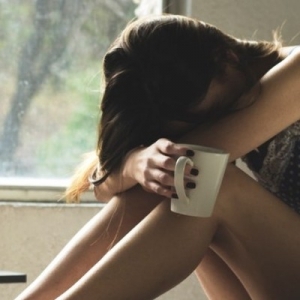 When I was suffering from chronic pain and exhaustion with fibromyalgia chronic fatigue I didn’t see a link between diet and the symptoms I was suffering. I was eating a fantastic diet of live fresh natural foods, like green leafy salads, soups, and fresh pressed juice. I took pride in the quality of food I was eating. My body began to shut down when there were too many painkillers (NSAIDS) in my system. A friend suggested I try taking a pharmaceutical grade supplement which contains a high level of antioxidants, along with other beneficial nutrients such as Omega 3. I gave it a try and was amazed by how much better I felt. 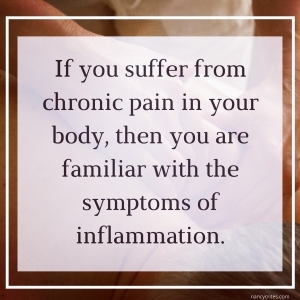 When the inflammation is not controlled, it turns into chronic inflammation. Chronic inflammation is one of the main ways degenerative diseases develop. Diseases that are common today: heart disease, diabetes, cancer, arthritis, Alzheimer’s, MS, fibromyalgia and more. These diseases affect each person in different ways — however, chronic pain is a serious concern for many people. Chronic pain is the result of inflammation, and it all begins at the cellular level. Your cells are amazing — they are the essence of your body type, your health, and your energy. They have incredible power and potential to repair and rejuvenate themselves. This offers all of us hope that how we feel now is NOT how we have to feel tomorrow. Supplementation is a powerful step in addressing the inflammation at the cellular level. However the nutrition must be able to enter the cell — this is very, very important! Without the right nutrients, your cell membranes are rigid and impermeable. With the correct nutrition and supplementation, your cell membranes will allow the healthy nutrients you are eating to enter and radically change your health. Even though I was eating healthy I didn’t understand why I felt so horrible. I studied everything I could on cellular nutrition and pain and I learned the link between inflammation, pain, and nutrition, including how important a personalized diet and supplementation plan was. Your body is bombarded by free radicals from chemicals, pollution, stress, junk food . . . life in general. These free radicals damage the cell, leading to inflammation and free radical damage. Inflammation is caused by free radical damage — similar to your car rusting more and more over time. Supplementing with a high-quality multi-vitamin containing plenty of antioxidants that have the ability to enter the cell is the solution to repairing and healing your cells. Antioxidants have a natural anti-inflammatory action and when they enter the cell they get to work repairing the damage that the free radicals have done. And the best part? There are no dangerous side effects! Antioxidants can eliminate the symptoms altogether, or greatly reduce the symptoms, allowing you to be pain-free for the first time in a long time. I was surprised that my pain completely vanished after increasing my antioxidant intake — mostly because I had tried tons of pain medication at the maximum dosage and still had pain. Supplementing with the proper antioxidant vitamins plays an important role in the anti-inflammatory process. They have the ability to eliminate or greatly reduce chronic pain. Your cells will be protected from further damage and repaired and rejuvenated. You will feel better than ever. 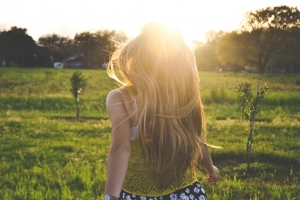 I know that I feel healthier and more energetic than I did 20 years ago. 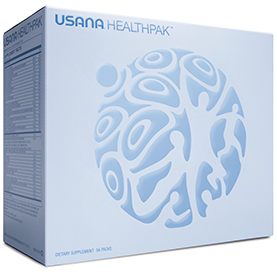 Nourish Repair and Renew your body and your cells, with the USANA HealthPak. The vitamin world can be overwhelming since there is so much conflicting and confusing information out there. I can make it crystal clear for you since I’ve been studying nutrition and cellular health for over 20 years now. You are unique and your healing is serious business. You do not want to offer up your health to the cheapest bidder; you really do get what you pay for. Choosing the winning combination of the best quality product that provides you with the correct supplement prescription is the secret to a successful recovery. nourish, repair and rejuvenate your cells and your health and feel much better. You can get the 3 key vitamins, vitamin A in the safe absorbable form of beta-carotene, vitamin C and Vitamin E in the USANA Healthpak along with a full spectrum of amazing vitamins, a Cal-Mag with extra D, and a bonus powerhouse, Resveratrol, a super anti-oxidant that eradicates inflammation. 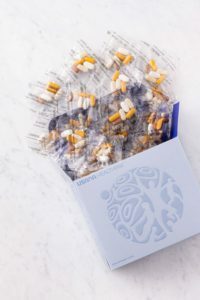 The ultimate anti-inflammatory solution for health and convenience is the USANA HealthPak, and you can get it below. Greetings Nancy – I have been using these wonderful supplements for several years now. Recently, I was given a clean bill of health following a kidney stone episode some time ago. I did have to adjust my regimen slightly and add something so that no new stones get formed. I mention this to support your suggestion that having a personal session with you to create the right plan is a really important way to get started. Lowell Ann, Thank you for reaching out to set up a time to create a plan that’s just right for you. I have an opening tomorrow, Thursday, April 18 at 9:30, or Saturday, April 20 at 11. Let me know if either of these times work for you. We will find a time that suits us both.